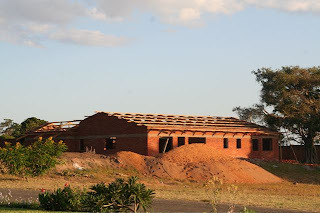 This is a picture of our house being built in Malawi. 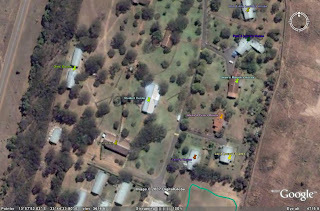 We hope to be moving in as soon as July. 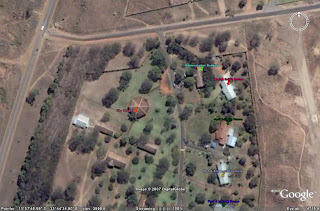 We will spend our first month or two in Malawi in another home. One of the great things about ABC is their help in securing housing for those who serve with them. The Lord is good to us. 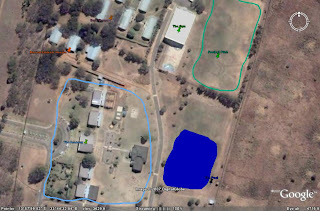 I got this great idea of putting pictures of the campus we will be living on from my friend Amy Louise Stauffacher from San Diego. She and her husband, Bob, along with their two little girls, Nya and Analise, will be joining us at African Bible College in August. You can click on each picture to enlarge it. 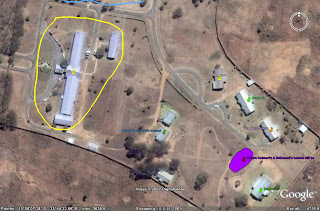 Our house will be where the purple blob is. 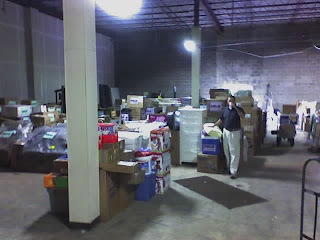 We had so much stuff left over that we will be sending a second container at the end of May. Sam in the warehouse before getting started having a cup of coffee. 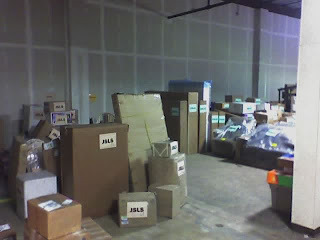 Another shot of all the stuff in the warehouse. 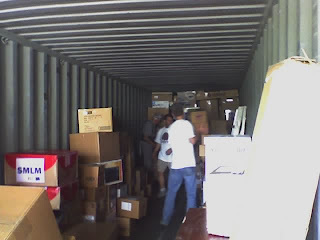 Some of the guys that helped us arranging stuff inside the container. 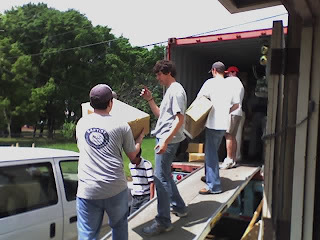 Some of the guys that helped in an assembly line loading uniforms onto the container.